Have you ever been to a Japanese festival and watched in awe as the Taiko drummers performed with power and precision? Did the rhythm of the beat make you want to grab a drum and join them? 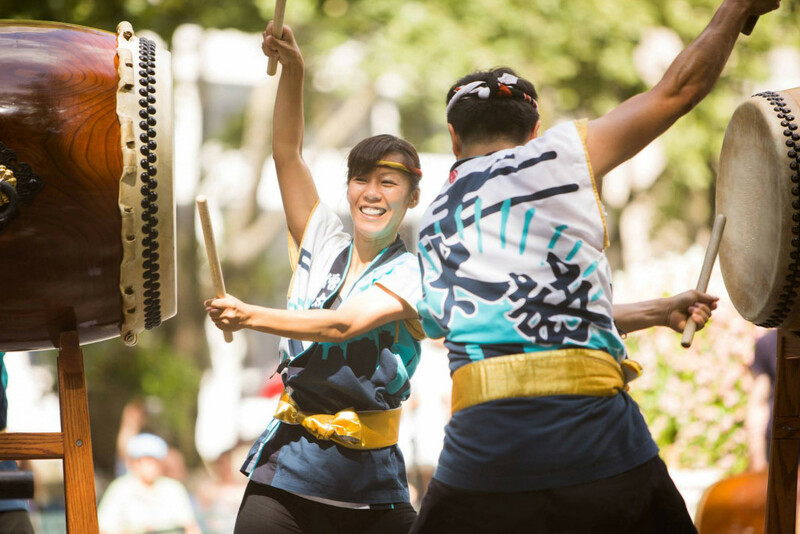 Soh Daiko Hachidan – NY Obon Festival 2013. Photo by Mattew Tom-Wolverton. Now you have a chance. Soh Daiko, the first Taiko drumming group on the East Coast, is looking for new members. Audition for a spot in Soh Daiko by attending their recruitment workshop this October. No prior taiko experience is necessary, but you should be fit enough to participate in all the exercises and be able to attend both sessions. You will learn the basics of Taiko drumming and short excerpts of Soh Daiko’s repertoire through a series of guided exercises over the two sessions. Session 1 will begin with a short presentation on the history & development of Taiko in general and Soh Daiko specifically. 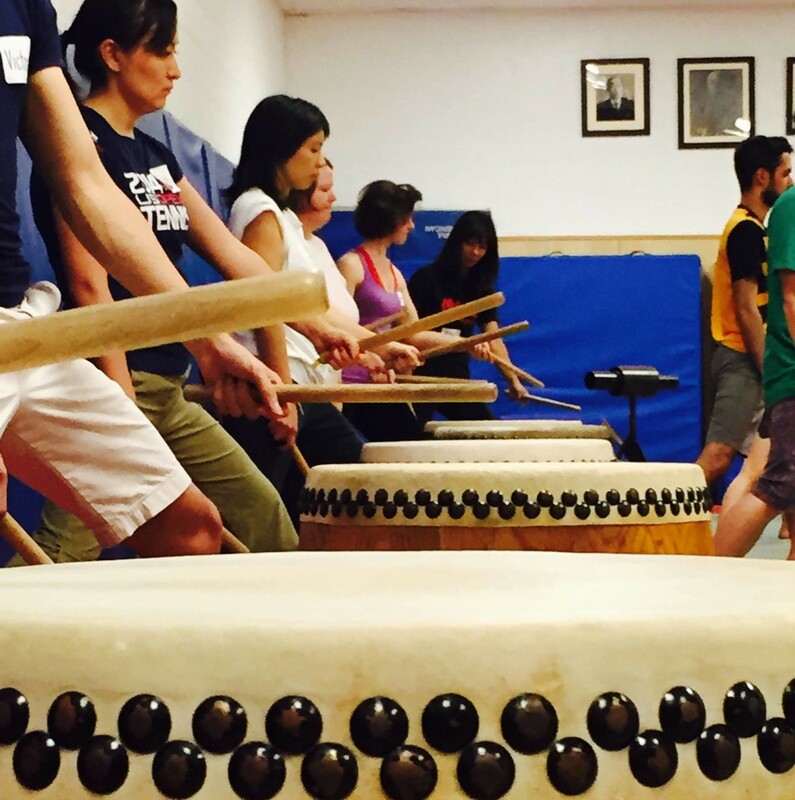 Soh Daiko’s June 2015 Introductory Taiko workshop. Photo by Yue Qiu. Part 1 – Saturday, October 3 from 1:30 p.m. until 7:00 p.m.
Part 2 – Thursday, October 8 from 6:45 p.m. until 9:15 p.m.
For complete workshop details, including registration & payment, please visit Soh Daiko’s website or Facebook event page. See how exciting Taiko can be!